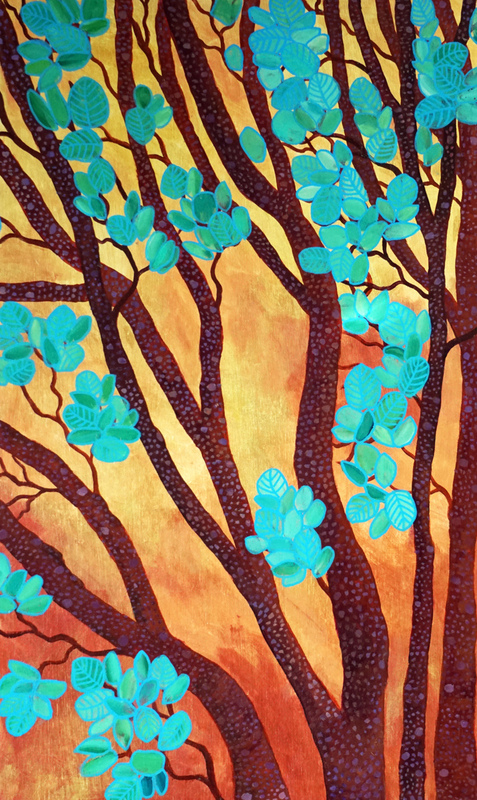 This original is acrylic on wood panel with the leaves outlined with paint pen. The background is iridescent paint The painting wraps around the side so there is no need for framing. It is varnished, wired and ready to hang. I sign all my paintings on the right side rail. Because of the iridescent background this painting is not available as a print. Shipping originals anywhere in the US. Price depends on destination. Contact me for info.